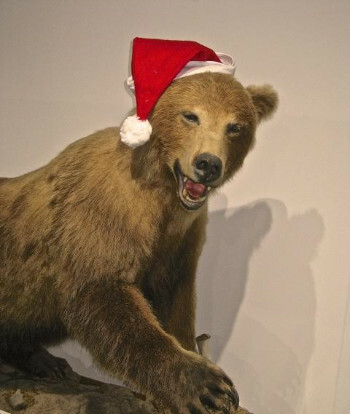 The bear says "Seasons Grreetings." Best Wishes to all of the Friends of the Georgia Museum of Natural History. Let’s congratulate ourselves on another successful year of promoting the Museum. We’ve helped raise awareness of the importance of the collections. We’ve promoted the Museum’s educational activities. And we’ve enjoyed field trips and social events. Well, not exactly. More like two nights at Black Rock Mountain State Park, when Spring is in bloom. Stay tuned for instructions. Another chance for 'members only' to visit with the museum curators behind the scenes. Local environments. Rocks and Shoals Natural Area is on the list. Is your membership up to date? You'll be hearing from us.